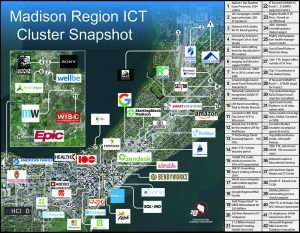 The Madison Region has experienced a meteoric rise in information technology over recent years, earning a reputation as an emerging IT hub. Hailed by Forbes Magazine as one of America’s top five locations for information jobs, the Madison Region is quickly becoming a hotbed for IT companies and talent. In an era of constantly evolving technology, the occupations in the Madison Region’s IT sector are critical components of successful operations across a broad spectrum of businesses. With IT-intensive industries employing nearly 18,000 throughout the eight counties, this growing regional sector serves as a launching point for entrepreneurs in creative, technology-driven start-ups. Growth in incubator and co-working spaces offer opportunities for start-up and small companies, while our quality of life amenities attract innovative IT talent to the area. Learn more. Learn more about the region’s information technology industry and workforce in this brochure. 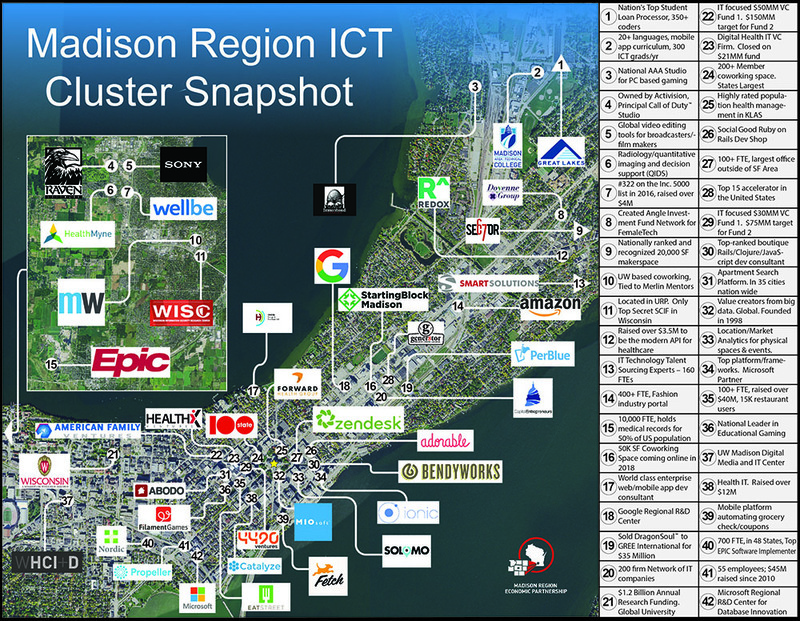 The Madison Region is home to many Information Communications Technology (ICT) companies. If it wasn’t clear already, 2017 demonstrated that Madison has emerged as a small beach of tech activity in the Midwest.